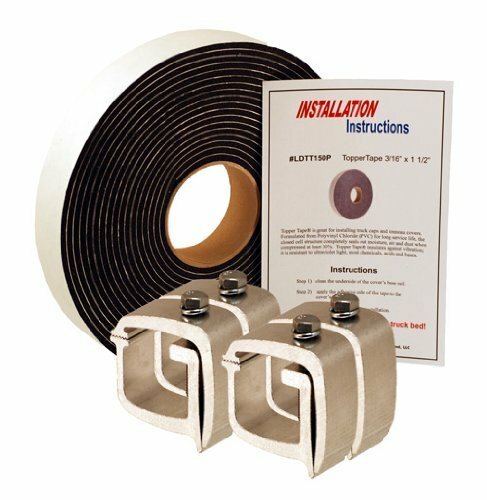 Install your truck cap or camper shell securely with these 4 strong mounting clamps and Topper Tape® on a short bed. This kit comes with an instruction sheet providing the information you need for proper installation. Please see the product drawing for matching dimension specifications. Topper Tape® seals between the truck bed and the cover. Please contact us for directions to an on-line application chart. If you have any questions about this product by API, contact us by completing and submitting the form below. If you are looking for a specif part number, please include it with your message.